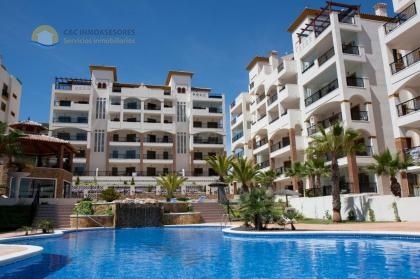 Beautiful and sunny apartment with large terrace facing east. 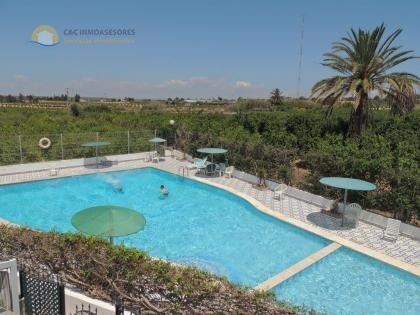 It is located about 300 meters from the beach and the urbanization has a communal swimming pool. The terrace is very spacious, it is like a small lounge to enjoy the sun. It is decorated with nice furniture and totally equipped. Independent kitchen with window and utility room, 2 double bedrooms with ceiling fans, modern living room and one bathroom with bathtub. It has radiators. All furniture and appliances are included in the price.